In this Chapter, We will see the Important SSC CGL 2018 Gk | GS Question Answer this is very important for the Student who is ready for SSC CGL Exam or Preparing for it. 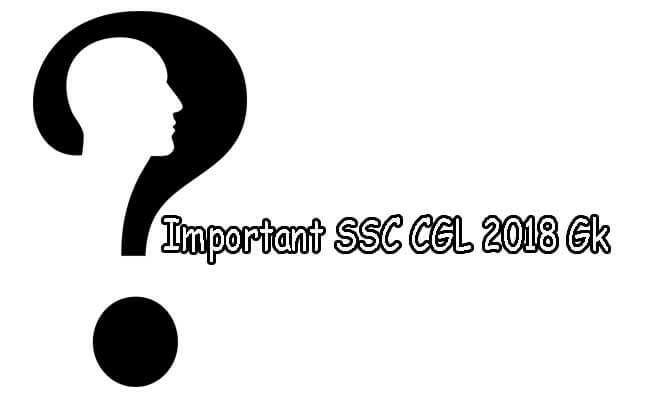 Let's Start Our "Important SSC CGL 2018 Gk | GS Question Answer". 23. What is part-IV of Indian constitution? DIRECTIVE PRINCIPLES OF STATE POLICY. 30. What transports water from the roots to leaves in plants? Xylem transports water & solutes from the roots to the leaves. I hope You all will Like Our Questions Thankyou!